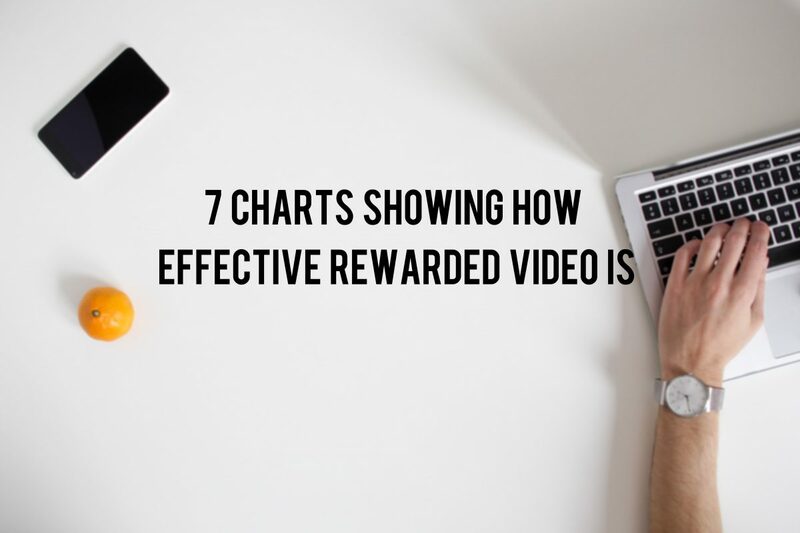 There’s a growing body of evidence showing that all kinds of video advertising - but especially rewarded video - outperforms all other ad formats currently in use. So I thought I would share just some of the most recent charts I’ve seen being shared and discussed. A massive 94% of publishers surveyed by AdColony said that rewarded video was an effective monetisation tool. 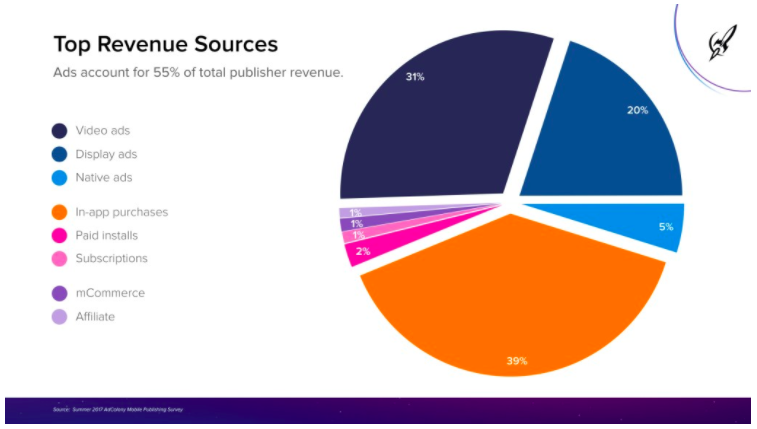 Not only did it out-rank other advertising formats, but publishers said that it was more effective than non-advertising tactics like in-app purchases and subscription payments. The survey also found that mobile games publishers believe that rewarded ads give consumers the best user experience. 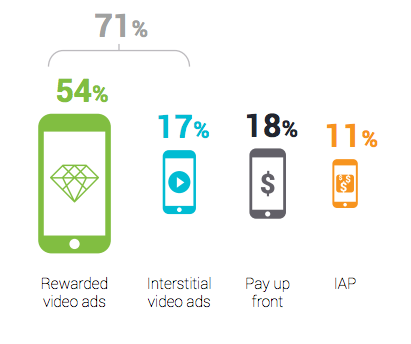 Fully 87% of respondents rated rewarded video ads as positive; no other ad format came close. A recent report from Unity found that 71% of mobile gamers had watched a video ad, with 54% specially choosing rewarded video as a way to ‘pay’ for their mobile games. That’s compared to only 18% who prefer to opt to pay for premium games, or the 11% minority who are happy with in-app purchases. In fact, the 54% who actively interacted with rewarded video was higher than all other monetisation methods combined. A study by US ad agency Jun Group looked at how consumers interacted with online video ads if they knew they would get a reward at the end. Over 90% of consumers watched to the end of both 15 second and 30 second ad spots, with the shorter format nudging 94% completion. Data from Smaato shows just how big the surge towards video has been in the past 12 months. According to a survey of brand marketers by eMarketer, the big plus with video is that it also increased brand awareness. 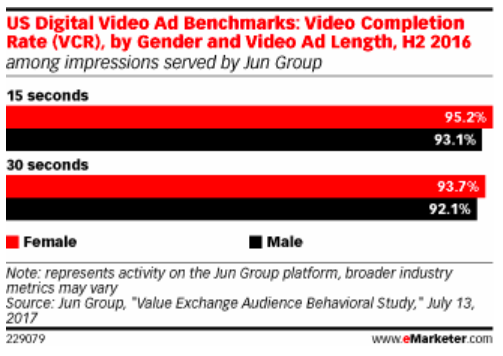 After video, the other ad format with strong growth was native ads. Research by AdColony found that on average, 55% of app publisher revenues were generated by a variety of in-app ad formats. 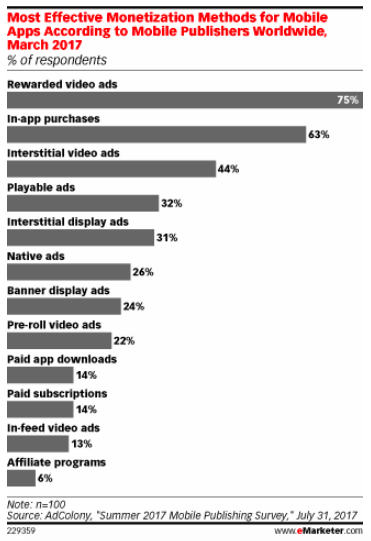 Of this, 31% is being driven by video advertising. According to the data, this was true of both gaming and non-gaming apps, and was the same for all kinds of publishers, large and small. 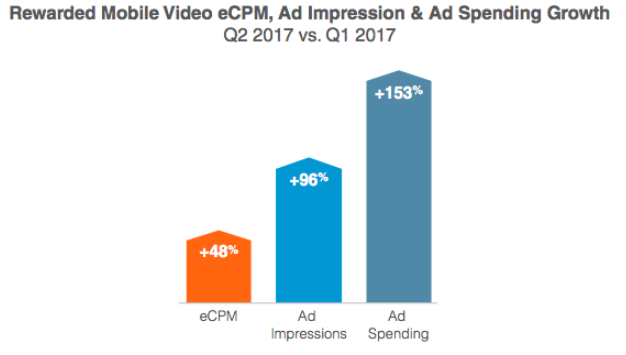 Another insight from Smaato is that spending on rewarded video by its clients is up a whopping 153%, with impressions from rewarded video up 96%, and eCPMs up 48%. 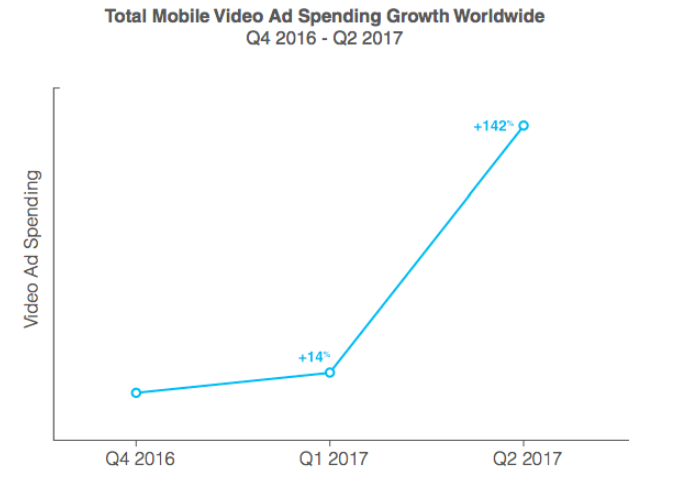 Much of this growth comes from gaming apps, which have clearly jumped on rewarded video as their most effective ad format. An overwhelming number of games publishers told Unity that they would be focusing on video advertising going forward, with the vast majority (66%) looking specifically at rewarded video. Only 20% plan to continue with static formats such as banners and interstitials.